Without focusing and tackling the sources of motivation for the Taliban and regional terrorists, any effort to eliminate them militarily will be of no effect. Yesterday, when announcing the extension of the U.S. military presence in Afghanistan, President Obama fell short of identifying the enemy and the threat Afghans and American troops face in the war on terror. But just a week ago, the commander of U.S. forces in Afghanistan had a reason for why the war on terror has lingered on. In 2011, Navy Adm. Mike Mullen, the former U.S. chairman of the Joint Chiefs of Staff, also told U.S. senators that the “Haqqani network acts as a veritable arm of Pakistan’s Inter-Services-Intelligence agency” and its operatives “plan and conduct” terrorist attacks in Afghanistan. Four years on, the existence of the same threat as “the most virulent strain” of terrorism and “the greatest risk to Coalition forces” in Afghanistan shows a clear inaction against the state-sponsored terrorist phenomenon in the region. After more than a decade of the so-called “war on terror” in Afghanistan, state-sponsored terrorist groups continue to intimidate Afghanistan and challenge its stability for decipherable political ends in the region. 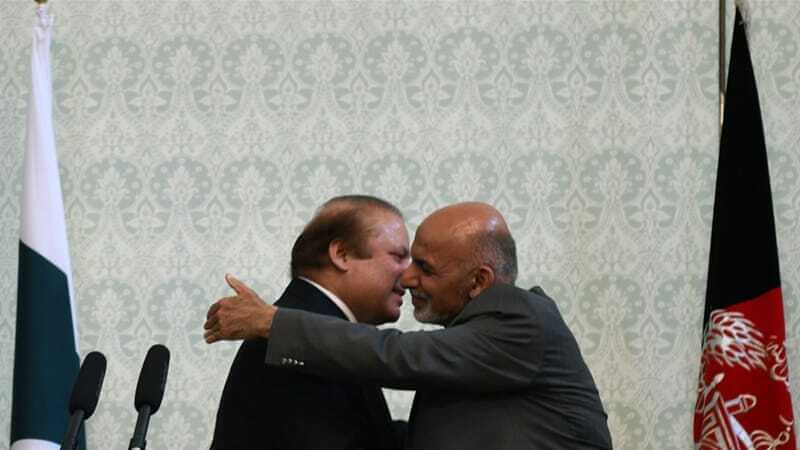 For Afghan President Mohammad Ashraf Ghani‘s government, it is imperative to bring clarity to the Washington-Islamabad-Kabul triangle in regards to the ongoing war. With the continued U.S. reluctance to tackle the political dimensions of terrorism in the region, the Afghan government must turn to the regional powers and multiply its efforts in developing strong conventional defense forces to confront the enduring threats of terrorism. In the past, lack of a clear definition of the threat in Afghanistan was the core issue of disagreement and mistrust between Kabul and Washington. Now, Ghani has repeatedly echoed that Pakistan is in the state of an “undeclared war” with Afghanistan. This definition of war is more than simply identifying terrorism, the Taliban or insurgency as the enemy, the way it has been articulated narratively by Washington since 9/11. This ambiguity in America’s definition of war and the enemy is the insoluble dilemma of Afghanistan. Like elsewhere in the world, terrorist activities in Afghanistan are originating from long-existing political conflicts and rivalries in the region. In the case of Afghanistan, terrorism is a lethal tactic employed by specific terrorist groups with full backing of a state for political purposes and raison d’état. Today, terrorists can be bought and used with money. Taliban and other violent groups are low-cost and easily available tools which continue to inflict massive damage to Afghanistan and its international partners. And yet the prime focus continues to be on the superficial manifestation of the threat: the Taliban, the restoration of the Islamic Emirate in Afghanistan, implementation of Sharia law, fighting the infidels, etc. Bringing clarity into this political jigsaw (who and what is the enemy?) is the key to genuinely combating terrorism and saving innocent lives both in Afghanistan and Pakistan. But why, then, is there reluctance to confront the origins of these threats and the sanctuaries and those who nurture them? These very recent quotes from a senior American military commander explain where the threat in Afghanistan is emanating from and what this threat is by nature. The lack of a proper strategy to address the political dimensions of terrorism in Afghanistan and the region has led to the prolongation of the war on terror. For more than a decade, the threat has been fought only militarily. Consequently, the region will continue to be geopolitically unstable. Terrorism will be an enduring phenomena for many years to come and Afghanistan will remain vulnerable. Afghans have to prepare themselves for this new reality. As a long-term task and by whatever means possible, Ghani’s government must multiply its efforts to build a stronger and better-equipped army, including a powerful air force with a quick airlift capability. Major security threats in Afghanistan are not internal; therefore, the Afghan security and defense forces must be supplied with state-of-the-art equipment to the extent that they become able to deal with threats emanating from outside Afghanistan. Continued standing on defense is inadvisable. Keeping the experience of former Afghan President Hamid Karzai‘s government in mind, Kabul should not rely on the U.S. to provide military equipment. Afghanistan’s security is linked not only with regional security, but also with ensuring global security. Terrorism in Afghanistan has regional and trans-regional dimensions, and any government in Afghanistan can not respond to the issue alone. The Afghan government and regional powers (China, Russia, India and Iran) should design a long-term political strategy to address the political dimensions of terrorism beside fighting it militarily. Today, all of these countries face some sort of state-sponsored terrorism. Moscow, New Delhi and Tehran have been treating Ghani’s government with mistrust, but that has to change. The Afghan national unity government should increasingly engage with regional powers; ditto for the West in Afghanistan. Terrorism in Afghanistan should needs to become an international concern. Without focusing and tackling the sources of motivation for the Taliban and regional terrorists, any effort to eliminate them militarily will be of no effect. Afghan’s experience shows that Pakistan-based terror groups continue to operate from their safe havens. More than five decades ago, the 36th president of the US, Lyndon B. Johnson addressed the United Nations General Assembly and reaffirmed the US’ commitment to global peace and stability. But fast-forward 52 years, and this commitment is exactly what Afghanistan – a country the US has been engaged with militarily for 14 years – is waiting to see fulfilled. Now, more than ever before, the absence of a genuine US commitment with Kabul in its “good fight” against terrorism is pushing Afghanistan and the region further into turmoil. Afghan President Ashraf Ghani recently called upon the military and civilian leadership in Pakistan to have the “same definition of terrorism in regard to Afghanistan”, as it has for itself. Afghan political leadership pointed the finger at Pakistan after a chain of deadly attacksin Kabul on August 8 killed over seventy people and left hundreds injured. The US state department was quick to rebuff Kabul, stating that Washington did not have “specific intelligence” to conclude whether Pakistan was involved in the deadly attacks on the Afghan side of the border. Kabul has long been at odds with Washington over its policy vis-a-vis terrorist safe havens and training camps in Pakistan. After all the blood and treasure the US and its NATO allies spent in Afghanistan, why this US reluctance and unwillingness with regards to dealing with terror sanctuaries and state-sponsored terrorism? How much longer will Washington gloss over Pakistan’s state-support of terrorism? President Ghani has remained a steadfast US ally who authorised the signing of a major bilateral security agreement between Afghanistan and the US right after taking office as president. But there was one simple message for Washington in his recent remarks – which must not go unnoticed: The US anti-terrorism strategy is not degrading nor destroying terrorist safe havens in Pakistan. A decade-old Afghan experience shows that Pakistan-based terror groups continue to plan, organise, recruit, indoctrinate, train, raise funds and operate from their safe havens, killing thousands of Afghans and foreign citizens in Afghanistan, including Americans. Washington’s lack of clarity in its overall policy towards Pakistan, including Islamabad’s political will in denying terrorists safe havens and limiting the Afghan Taliban’s ability to operate freely on its soil, severely damaged Afghan-US relations under the former President Hamid Karzai. Abetted by Washington after 10 months of sincere cooperation and concessions to Islamabad, the president of the Afghan National Unity Government faces the same impediments to peace as his predecessor. 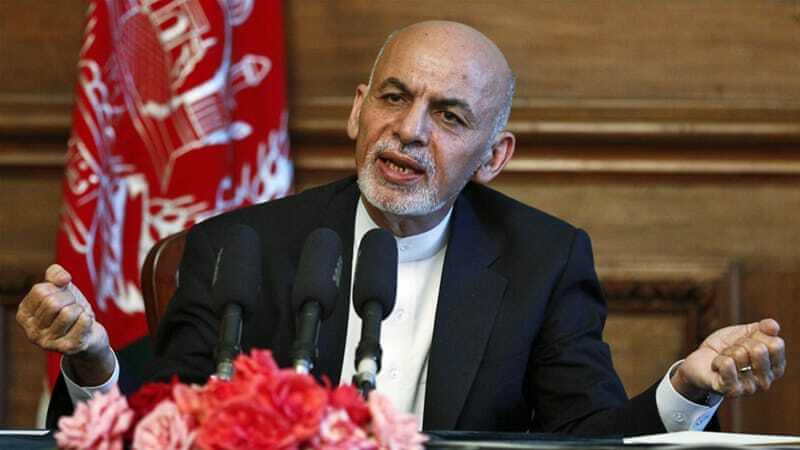 “Pakistan still remains a venue and ground for gatherings from which mercenaries send us message of war,” Ghani said on August 10, referring to the open meetings held by the Taliban in Pakistan after the announcement of the death of spiritual leader, Mullah Omar. In Afghanistan, the US’ ‘good war’ is turning into public discord at a fast pace. Washington must avoid the growing perception of the US’ double-dealing in regard to Pakistan. As all Afghan political leaders, from the former to the current president, see eye to eye on Pakistan, the US state department urges both countries to “eliminate safe havens”. “It is in the urgent interest of both countries to eliminate safe havens and to reduce the operational capacity of the Taliban on both sides of the border,” said its spokesman. I am dumbfounded by Washington’s statement asking “both countries to eliminate safe havens”. Until just last year, the US had a very strong military presence and full control over ground and air in every part of Afghanistan. It should know and answer all the whys and hows of “safe havens” on the Afghan side of the Durand line – if there are any answers. After more than a decade of injecting cash to Islamabad for its role in the “war on terror”, Washington is still asking it to “eliminate safe havens”. Since 2001, under the Coalition Support Fund (CSF), Pakistan has received nearly $13bn from the US alone for its “role in combating a Taliban insurgency in Afghanistan”. Just last month, it received $337m under the CSF as the first tranche for the current fiscal year. The US is committed to combating “terrorism” and its “safe havens” in its Security and Defence Cooperation Agreement signed with Afghanistan. What does this pact serve? Some, including the Afghan national security advisor, may respond by stating that the purpose of the agreement is not “contribute to peace in Afghanistan”. They will argue that it’s primary goal is to provide more than $12m a day to Afghan security and defence institutions. According to the pact, the US intent is to “strengthen security and stability in Afghanistan, contribute to regional peace… combat terrorism, and achieve a region which is no longer a safe haven for al-Qaeda and its affiliates”. Afghans endorsed the security pact with the US, expecting that it would strengthen security in their country and protect them against an imposed war. In Afghanistan, the US’ “good war” is turning into public discord at a fast pace. Washington must avoid the growing perception of the US double-dealing in regard to Pakistan. Terrorists and their harbourers are the common enemies of all mankind, and stopping Pakistan from its state-sponsored terrorism will save innocent lives in both Afghanistan and Pakistan. The Afghan national unity government “officially” confirmed on Wednesday that the Taliban’s spiritual leader, Mullah Omar died “in the Pakistani city of Karachi in April 2013”. Kabul’s announcement of Mullah Omar’s death came as the Afghan government held a national security council meeting on the issue after being officially informed by the Pakistani senior military and intelligence officials on the matter. 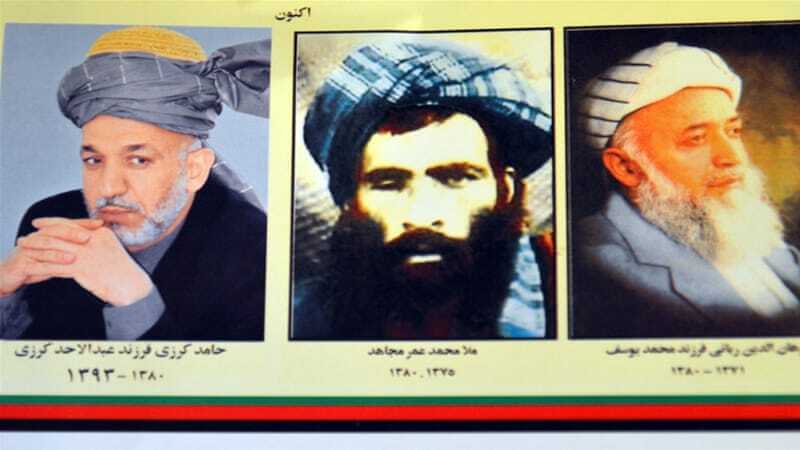 The almost two-and-half-year-late announcement of Mullah Omar’s death will not be a factor in achieving the long-desired Afghan peace, nor a game changer to end the ongoing war in Afghanistan. Karzai was taken aback when he heard the senior US official confirming Mullah Omar’s location to him. Karzai asked why the US had not taken any action in this regard. “The US has put a reward of $10m for any information on his whereabouts to lead to his capture. Innocent Afghans are dying daily in the ongoing US war against the Taliban and yet the supreme leader of the Taliban is under Pakistani military protection in Karachi?” Karzai continued. “Why don’t you ask them to deliver him?” the Afghan president added. He said that Pakistan’s Chief of Army Staff, General Ashfaq Parvez Kayani had given assurances that the Taliban leader was under their supervision in a safe house but they did not want to arrest him in order “to not harm Afghan peace efforts”. That evening and afterwards, two questions remained unanswered for some Afghan officials: What else did Washington and our Western allies need to have as evidence of Pakistan’s long-established double game in the war on terror? Karzai told Obama that “Mullah Omar has no authority and he is not happy” with the situation surrounding him, indicating that the spiritual leader of Taliban was under the tight grip of the Pakistani military and intelligence. Afghan Taliban have been leaderless for many years. Now with the news of their spiritual leader’s death, while some may quit the movement and possibly return to normal life, some others may continue to fight under new designs, banners, and flags. Karzai asked Obama for clarity on the US position vis-a-vis Pakistan and Islamabad’s double standard towards terrorism and its sanctuaries. He emphasised that Afghans wanted “urgent actions against terrorist sanctuaries in Pakistan” run and controlled by its military and intelligence. I documented the conversation during this meeting. Karzai questioned the two US officials about the “certainty” of Mullah Omar’s representation in Doha and whether the opening of the office truly had the blessing of the Taliban’s leader. Karzai informed the US diplomats that a senior Taliban leader of the Quetta Shura – whose name is withheld here – had told his office that “actually, they have not met or seen Mullah Omar for the last 10 years and those in Qatar, including Sayed Tayyeb Agha, are not genuinely representing Mullah Omar”. According to the same source, the Quetta Shura was “not fully aware of what was taking place under the name of the Taliban in Qatar”. To his Western allies, the Afghan president’s repeated acknowledgement of Mullah Omar’s powerlessness, symbolism, and his mythical existence as the one and only leader of the Afghan Taliban directing the movement and its war against foreign troops in Afghanistan, fell on deaf ears. Who has been leading and guiding Taliban’s commanders, if their “Amir al-Muminin” died in early 2013? Who did, and how were, Mullah Omar’s statements and Eid messages issued? And most importantly, what about the first round of “official talks” between the Afghan delegations and the Taliban on July 7, in Murree-Islamabad? As the organiser, facilitator, and controller of the talks, didn’t the Pakistani government know about Omar’s death only three weeks before? Instead of unwisely declaring Afghanistan as the “regional hub” to fight a new terror group, ISIL, Washington and Kabul should put result-oriented pressure on Islamabad. Afghan and international media should avoid further using false statements and comments fabricated by the Pakistani intelligence under the name of so-called “Taliban spokespeople”. Mullah Omar’s death will further deepen the already existing split and internal fracturing within the Afghan Taliban. The Afghan Taliban have been leaderless for many years. Now with the news of their spiritual leader’s death, while some may quit the movement and possibly return to normal life, some others may continue to fight under new designs, banners, and flags. The general scene will be of full demonstration by pro-ISI (Pakistan’s Inter-Services Intelligence) Taliban, the strategic assets of Pakistan, engaging the naive Afghan national unity government in its quest for peace. Use of unmanned US drones increases recruitment opportunities for the armed opposition in Afghanistan. The use of unmanned US drones in Afghanistan has stepped up since January. 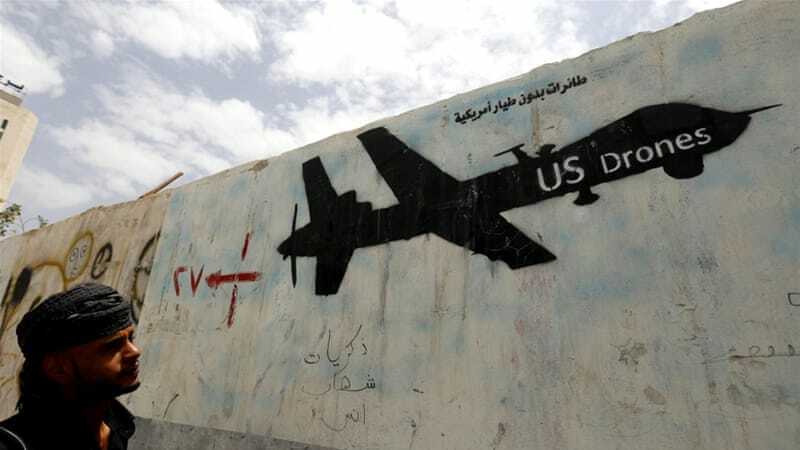 With the launch of the new US counterterrorism mission, Freedom Sentinel, the ongoing and intensifying drone campaign has reportedly killed around 400 people in Afghanistan over the last six months. But insurgents are not the only ones being killed. Targeted drone attacks kill scores of civilians and armed opposition forces alike. These strikes violate Afghan sovereignty and international law, and severely undermine human rights while underscoring the ongoing threat to civilian lives in Afghanistan. Yet, the Afghan national unity government remains silent on the issue. Beyond the civilian casualties caused by these strikes, drones also fuel terrorism, increase anti-government sentiment and, as a result, increase recruitment opportunities for the armed opposition in Afghanistan. Afghan President Ashraf Ghani’s government must take seriously the issue of civilian casualties from US drone strikes and put an end to the extrajudicial killings of Afghans by the unmanned machines of our so called “strategic partner”. Over the past decade, US drone missions in Afghanistan were unilateral. Unlike Pakistan, the use of drones lacked the agreement of the country’s leadership. The large number of civilian casualties in drone and air strikes caused increasing tensions between Hamid Karzai, the former Afghan president, and US officials. So why has Afghanistan become the most heavily drone-bombed country in the world? What is the legal justification for the US’ drone mission in Afghanistan when there is no mention of drones in its Bilateral Security Agreement (BSA) with the US? Since the establishment of the Afghan national unity government in Afghanistan, Ghani’s government has given “American commanders a freer hand on night raids and air strikes”, according to a recent New York Times report. What is the legal justification for the US’ drone mission in Afghanistan when there is no mention of drones in its Bilateral Security Agreement with the United States? Recent attacks show that drone operators are now authorised by “eased” counterterrorism guidelines, which permit them to hit a target even without having “the knowledge of the identities of the individuals marked for death“. Despite the US administration’s repeated announcements of the end of its combat mission, US forces in Afghanistan now have “a more aggressive range of military operations” – mostly drone missions and special operations. Focused in the south and east of the country, US drones are hitting Afghanistan frequently, at a rate of one to several attacks every week. Nangarhar, Paktia, Paktika, Kunar, Nuristan, Khost, Farah, Helmand, and Logar are all provinces that have been targeted by US drone operations. According to international and national media reports and the Bureau of Investigative Journalism, civilian casualties are involved in most of these incidents, but these go without any acknowledgement from the current Afghan government. Some Afghan TV channels report misleading and misinforming stories on the “effectiveness” and the “role” of drones in Afghanistan. Early this month, according to Afghan MPs and media reports, a US drone strike in the Alisher district of Khost province southeast of Afghanistan, killed more than a dozen civilians, reportedly “members of two families”. On the condition of anonymity, a government official in Khost confirmed the killings to Pajhwok, an Afghan news agency. The media office for foreign troops in Kabul also confirmed the attack with a routine addition that “reports about civilian casualties were being investigated”. As the Afghan national unity government continues to keep silent and neglects to send any delegation to investigate the incident, Afghan MPs and the former Afghan president have “strongly condemned” the strike in Khost. It is time to end the secrecy on the matter. The Afghan government should conduct its own investigation and assessment of each drone incident. Now, as the US “war on terror” in Afghanistan increasingly becomes an open-ended conflict, reports suggest that the US will “maintain an aerial capacity beyond 2017 … to conduct air strikes”. More US drone strikes means more civilian deaths for Afghanistan. These civilian casualties can severely risk the Afghan national unity government’s legitimacy and sustainability. It is imperative that Ghani’s government shows ownership and acts fully in accordance with the national interests of the country by reconsidering its stance vis-a-vis the US drone war in Afghanistan. As soon as possible, the Afghan national security council must examine all the drone incidents from the past six months and make its investigation public. Afghans have the right to know how many of their country’s men, women, and children die in these drone strikes. Their government should bring this clarity to them. Additionally, the government should reach out to the families of victims and provide them with compensation. As Ann Wright, the former American deputy ambassador in Afghanistan, put it, drone killings, “because of the number of civilian casualties”, are “jeopardising US national security and creating large numbers of people who despise the United States“. Karzai calls on the Afghan national unity government to immediately cancel the secretly signed accord between the Afghan and Pakistani intelligence services. The recent hasty and secretive signing of an intelligence-sharing agreement with Pakistan has led former Afghan President Hamid Karzai to part ways with the incumbent Afghan leader, Ashraf Ghani. The policies that Arg, the Afghan presidential palace in Kabul, is peddling with Islamabad — particularly its dealings with the Pakistani military — have caused a deep and unfortunate rupture between the current and former Afghan presidents. This state of affairs is the result of months of disagreements over key national issues central to Afghanistan’s sovereignty and national interests. Karzai also made several suggestions about bilateral relations with Pakistan and the long-standing issue of the Durand Line. Named after a 19th-century British colonial diplomat, today the line is Afghanistan’s eastern boundary with Pakistan. But the Afghan people and their governments have never accepted the Durand Line as an international border since its demarcation in 1893. In several meetings, the two discussed these issues in detail, and in light of his experience Karzai outlined his clear thinking to Ghani, who was familiar with many issues and was in broad agreement with Karzai and promised to act in accordance with their consensus. But soon after assuming office in late September, Ghani began acting against these promises. He embarked on an outreach mission to Islamabad and began engaging in public and secret deals with Pakistan’s military establishment. These overtures posed serious questions, raised suspicions, and even provoked opposition from the Afghan people. There was an uproar over the signing of an intelligence-sharing agreement between the Afghan National Directorate of Security (NDS) and Pakistan’s premier intelligence agency, the Inter-Service Intelligence (ISI). All segments of the Afghan nation voiced opposition to the deal. Ghani defended the deal, but Karzai raised several fundamental questions, such as, under this deal, which “separatists” are we supposed to jointly fight in Afghanistan and Pakistan? Who is behind this ongoing war in Afghanistan? How can be Afghanistan’s enemy (the Pakistani military) become a friend, while our traditional ally (India) has now become an enemy? While Ghani mentioned that the ongoing violence in Afghanistan has domestic aspects, Karzai emphasized its external context and factors. Despite decades of war, there has never been a separatist movement in Afghanistan. Most Afghans blame Pakistan for backing the Taliban and allied militants in the armed opposition. Ghani was surprised by the ferocity of Karzai’s opposition and immediately investigated who had leaked the details of the intelligence deal to the former leader. He promptly fired two deputies of the NDS director and appointed loyalists instead. This has paved the way to politicize a national institution, which might open it to manipulation by the ISI. The tense telephonic exchange and its aftermath showcase the serious disagreements over the causes and implications of the ongoing war in the country between the two leaders. Perhaps such disagreements were not public before, or perhaps the demands and objectives of our major “strategic allies” are now being well implemented in our country. In that statement, Karzai called on the national unity government to “immediately cancel” the Memorandum of Understanding between the Afghan and Pakistani intelligence services. It is unfortunate that Karzai is parting ways with Ghani administration because of its Pakistan policy. This should have been prevented and President Ghani can still regain Karzai’s support. But it will require Kabul to aim for generating a consensus and gaining the backing of major political leaders on key national issues and policies destined to shape our future. Kabul’s naive overture towards Islamabad works against Afghanistan’s national interests. The inking of an intelligence cooperation accord between Afghanistan and Pakistan has raised growing voices of concern at all levels in Afghanistan. Afghanistan’s National Directorate of Security (NDS) and Pakistan’s Inter-Services Intelligence (ISI) have signed a memorandum of understanding which – according to the Afghan Presidential Palace – is aimed “mostly [at] jointly fighting terrorism”. Expressing his deep concerns about the signing of the agreement, former Afghan President Hamid Karzai in a statement called on the government to “immediately cancel” the MoU. It is said that the current and former presidents had a “very tense” telephone conversation on this issue on Wednesday. The Afghan National Unity Government’s naive overture towards Islamabad seems to be gradually subduing Afghanistan to Pakistan. Under the name of bilateral intelligence cooperations, the signed MoU will allow Pakistan’s ISI to penetrate deep into a key Afghan security establishment and undermine the country’s sovereignty. It is against Afghanistan’s national interests. Rejected by Kabul, Afghan and Pakistani media reports suggest that in accordance with the agreement, the ISI will “equip the NDS and train its personnel”. Afghan media reports reveal that based on the agreement, the two spy agencies will “jointly fight separatism” and “enemy espionage agencies”. The agreement will also allow Pakistan intelligence agencies to probe the terrorist suspects under Afghan detention. It is also said that the MoU has articles on “moulding public opinion and narrative” about Pakistan in Afghanistan. The signed accord is now raising questions such as; which “enemy” intelligence agency is the Afghan NDS supposed to jointly counter with Pakistan’s ISI? Who is our joint enemy? Who are the terrorists? What is the mutually agreed definition of terrorism and terrorists in the signed agreement? And which separatism and separatist groups do the two spy agencies have to fight? For over a decade, Afghan security forces are fighting an imposed war with Pakistan’s deep-state’s ‘strategic assets’ such as the Taliban and the Haqqani Network. Afghanistan and Pakistan do not have a mutual “enemy intelligence agency” to fight together. Since the fall of the Taliban regime, the Afghan intelligence establishment has been countering ISI’s covert activities in Afghanistan. For over a decade, Afghan security forces are fighting an imposed war with Pakistan’s deep-state’s “strategic assets” such as the Taliban, the Haqqani Network and Lashkar-e-Taiba. All the terrorist groups committing violence in Afghanistan on a daily basis by killing innocent Afghans are believed to have their safe-havens in Pakistan and enjoy unbridled support of the host country’s army and intelligence agencies. Speaking to the upper house of the Afghan parliament recently, the Afghan national security advisor said terrorist hideouts located in Pakistan still pose a “serious threat” to Afghanistan’s peace and stability and “our main demand” from Pakistan is to eliminate them. If Pakistan’s interpretation of the term “enemy intelligence agencies” is India, it must accept that India is Afghanistan’s friend and ally. There is no doubt that Pakistan also suffers from a dramatic rise in terrorism. Innocent Pakistanis are getting killed in terrorist attacks in different parts of the country every day. Pakistan’s leadership must come to the realisation that the spread of terrorism on its soil is the direct consequence of the state’s self-destructive policies of using terrorism and radicalism as tools. Islamabad must step away from its narrative of denial. Pakistan’s reliance on radical terrorist groups is fuelling terrorism both in Afghanistan and Pakistan. The element of “joint fight against separatism and separatist groups” in the signed MoU is the most worrying part of the agreement. Afghanistan is a united country and there is no Afghan separatist group in and outside the country. In contrast, since its creation, Pakistan has separatist movements on its soil and they are practically at war against Pakistan. Separatist movements of Pakistan have nothing to do with Afghanistan, nor is their existence in Baluchistan, Sindh, Waziristan and other parts a new phenomena in Pakistan. Under the banner of jointly fighting “separatism and separatist movements”, Pakistan’s intelligence agency has a hidden strategy, which could be very hazardous for Afghanistan. The Afghan government’s policy of appeasement towards Islamabad is a one-sided concession to Pakistan’s military establishment. The Afghan government has also agreed to the training of Afghan police by Pakistan. It is allowing Pakistan to worm its way into Afghan security and defense establishments. During his visit to Kabul, Prime Minister Nawaz Sharif announced that “capacity building of Afghan police will be done as already offered, including training”. He also acknowledged that Pakistan will “further deepen” its “defense and security partnership” with Afghanistan. Afghans see no visible change in Pakistan’s double-sided policy towards Afghanistan nor in its dealing with terrorist groups. Condemning the signing of the agreement with Pakistan, Afghan MPs have already summoned senior security officials to a general session of the lower house of the Parliament. The head of the Afghan National Directorate of Security, Rahmatullah Nabil, has already expressed his disagreement to the ARG (Afghan Presidential Palace) and resisted the signing of the accord. It is imperative for the Afghan government to immediately cancel the MoU with Pakistan before the issue leads to a national outcry. Nevermind the assurances, the US is determined to prolong its stay in Afghanistan for its own geopolitical interests. Afghanistan is experiencing an unprecedented level of increased violence and armed conflict by the Taliban and foreign fighters, further deteriorating the already fragile stability and security of the country. Afghanistan’s National Security Adviser, Hanif Atmar, warned this week that Afghanistan is facing “serious security threats” from foreign terrorist groups such as al-Qaeda, ISIL, Lashkar-e-Tayyiba, Islamic Movement of Uzbekistan, East Turkestan Islamic Movement and Ansarullah of Tajikistan. Atmar also said that the Islamic State of Iraq and the Levant (ISIL) is seeking to “get access to the drugs market in Afghanistan” to finance its activities and infiltrate Central Asia. The sharp degradation of the security situation and the current state and nature of armed conflict in Afghanistan is no doubt preparing the ground for the US to continue its military presence and its unfinished war in the country beyond 2017. From Kabul’s perspective, US financial support to the Afghan national security forces and the increasing insecurity and level of threats from “foreign terrorist groups” such as ISIL are the main factors behind the need for a prolonged US military presence in Afghanistan. Since the establishment of the new government in Afghanistan, President Ashraf Ghani and other senior officials have repeatedly expressed their wish to Washington to have more “flexibility” regarding the withdrawal of US troops from Afghanistan. Atmar recently said that “Afghanistan is satisfied with the security pact” signed with the US. The bestselling argument in defence of the Bilateral Security Agreement – as this senior Afghan official puts it – is that “the US provides $12m to the Afghan security forces on a daily basis”, that’s an annual aid of $4bn. However, it creates a complete state of dependency. The US has intentionally failed to equip Afghan national security forces with modern weapons. The Afghan president and his national security adviser have both stuck to their narrative about the growing threat of “international terrorism”, in particular, the presence of ISIL in Afghanistan. But in Afghanistan, is ISIL a myth or reality? 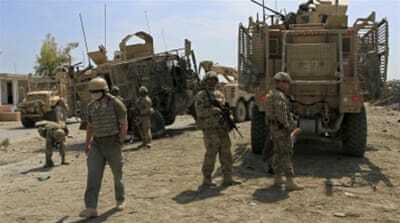 Despite the US administration’s statements about the end of its combat mission in Afghanistan, US forces have continued to carry out regular missions against the Taliban and other terrorist groups said to be threatening US troops and the Afghan government. Ghani has stated on a number of occasions both to a domestic audience and on the international stage that ISIL is worse than al-Qaeda and poses a serious threat to Afghanistan. In his recent address to a gathering of the country’s political and religious leaders, Ghani said “international terrorism wants to deny Afghanistan a stable future, and is attempting to disrupt the state system in the region, and the world”. Such statements on the escalation of insecurity in the country from the leadership of the National Unity Government are alarming for public opinion, both inside Afghanistan and also in the West. On the other hand, despite the US administration’s statements about the end of its combat mission in Afghanistan, US forces have continued to carry out regular missionsagainst the Taliban and other terrorist groups said to be threatening US troops and the Afghan government. US jets and bombers are supporting Afghan national security forces in their combat missions. The ongoing military operations in Kunduz province of Afghanistan are a good example. Since January, there have also been more drone and air strikes as well as operations by special forces as part of the US-led counterterrorism mission named “Freedom Sentinel” in Afghanistan. Furthermore, the US and its NATO allies have not decided on a plausible end date for their ongoing mission in Afghanistan. The wide-ranging goals for the US-led foreign military presence in Afghanistan, as declared, include “stability, fighting terrorism, training Afghan National Security Forces, protecting the population and the country from outside attacks”, etc. None of the above US-NATO goals in Afghanistan seem to be achievable with the current military strategy. With around 9,800 US troops and tens of thousands of military contractors, the US military mission in Afghanistan is going to be an open-ended war for years to come. It is actually much broader and well beyond the scope and nature of what was agreed in the Bilateral Security Agreement between Kabul and Washington. The rapid deterioration of the security situation caused by new and old brands of terrorists groups in Afghanistan and the alarming political messages of the current Afghan leadership are making the ground smoother for the US determination to stay in Afghanistan for its own geopolitical interests. But the National Unity government of Afghanistan must attain a countrywide consensus in this regard. Afghan MPs have already started a series of heated debates in parliament and on TV talk-shows criticising the security agreement with the US and demanding Afghan government “reconsider and review” the pact. They stress that ISIL is not an indigenous force in Afghanistan but “an intelligence project”. If the US administration foresees a longer stay, it must find ways to end the growing suspicion about its objectives in Afghanistan among Afghans. Afghans would not oppose an extended US military presence in Afghanistan but only so long as it brings them peace and stability.